I bought this watch for my husband as a gift. Watch works well and looks just as nice as the more expensive watches. 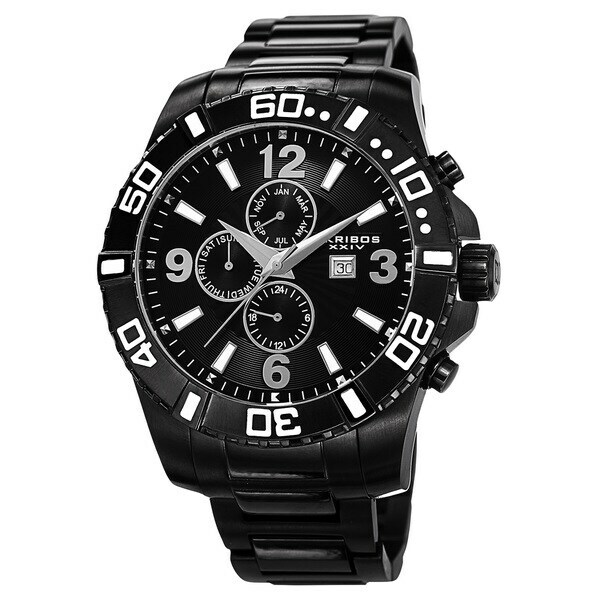 If you are looking for a nice watch, I recommend this watch. This bold watch from Akribos XXIV features a multifunctional dial displaying the day, date and month. The Swiss quartz movement and stainless steel build creates a sturdy watch. The fusion of classy and daring makes this watch great for every occasion. Awesome Men's watch, bought for a donation item for a recent event I co chair this men's watch brought top $$$ with the guys all bidding on it! The watch was nice looking, but didn't work. "Are the smaller dials on this watch functionalor are they just for looks?" The smaller dials are to set the calendar functions on the watch.